Starting this week, residents who live in a zone parking area have the option to purchase up to three sheets of Daily Parking Permits per 30 day period. Prior to this change, customers were eligible for only two sheets of Daily Parking Permits. The price of the permits remains the same. Each sheet cost $8 and contains 15 permits. 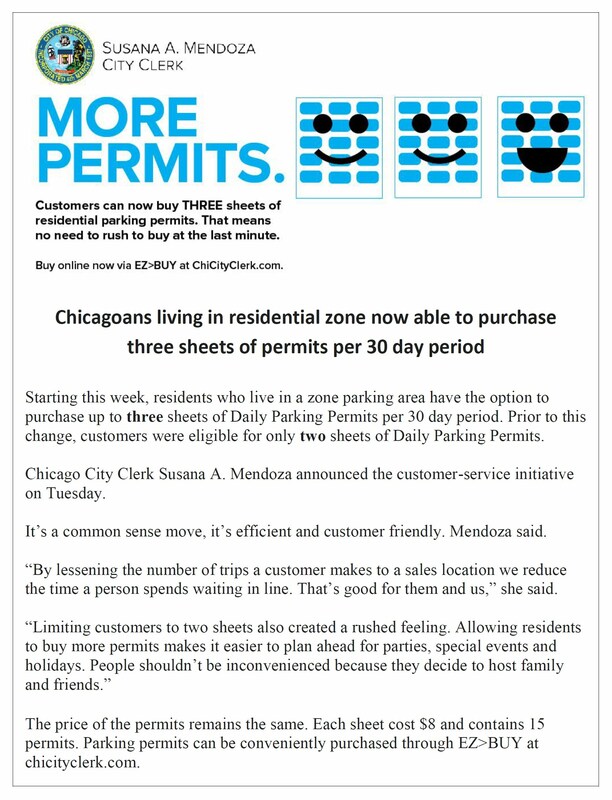 Parking permits can be conveniently purchased through EZ>BUY at chicityclerk.com.